SYDNEY, Australia (CelebrityAccess) — Lenny Kravitz abruptly canceled a planned tour of Asia and Australia, citing scheduling issues. 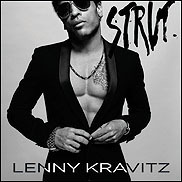 Kravitz had been slated to tour the region, with March dates in Japan, the Philippines, Indonesia, and Malaysia before a series of dates in Australia that included a festival billet at Bluesfest Byron Bay. “Unfortunately, due to contractual scheduling conflicts beyond my control I will not be able to come,” Kravitz said in a statement.